We come from an island. Not your typical Caribbean type place surrounded with palm trees and coconuts, this is a convict island. In the 1840’s somebody came up with a great idea to throw all the dregs of society onto a wooden boat and ship them off to the other side of the world. 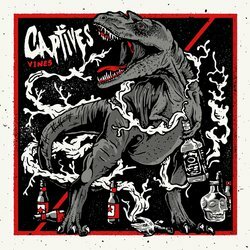 One hundred and seventy three years later and here we are; a punk rock ‘n roll band by the name of “Captives”.